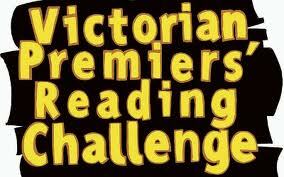 Cheltenham Primary School has enthusiastically participated in the Premiers’ Reading Challenge (PRC) since its inception 9 years ago. This important literacy initiative fosters a love of reading for all participants from Prep to Grade 6. Did you know that reading to young children every day has enormous benefits for their brain development, thinking skills and language? Young children who are read to regularly also do better at school according to a study conducted by the Melbourne Institute of Applied Economic and Social Research and funded by the Department of Education and Early Childhood Development. Students are asked to record all the books they read in an 8 month period, with a minimum book number requirement depending on their year level. Each year, 5 students from Cheltenham Primary School are awarded the role of Challenge Champions to promote the PRC and encourage their peers to discover the joys of reading. ” I enjoy reading “Ella and Olivia” books. I like all books written by Holly Webb, such as “The Kitten that nobody wanted’ and “Smudge the stolen kitten”. They are great stories about kitten adventures. My favourite book is “Lucy the Poorly Puppy” by Holly Webb.